Did Du quit watching when Sorkin left? 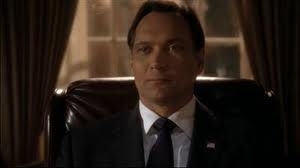 Who was your Favorit West Wing character? Favorit Josh Lyman romantic pairing? Who is your Favorit First Lady on The West Wing? Which President of the United States on The West Wing is your favorite? Did John Spencer have a traumatic childhood? I know his parents did not have much money, but there seems Mehr to it than that. If Josh Spencer (Leo McGarry) had lived, do Du think Leo would've helped Josh recruit Sam to be his Deputy Chief of Staff? If John Spencer (Leo McGarry) had lived, do Du think Santos still would've won the election? Though this beloved Zeigen has been completed for some years now, it still holds my herz strong. In fact, I'm watching the Zeigen right now! And my strong sentiment for the Zeigen also stands true for the wonderful actors who made up the West Wing. In honor of both, here are a handful of spots dedicated to the cast of the West Wing. Please come and Mitmachen them! Obviously not everyone is represented as of November 2008. If Du decide to make a spot for unmentioned actors from the show, please let us know! With the election now behind him, President-Elect Gates, and his team led Von Chief of Staff Matthews, have begun transition. Soon, the President will have his first meeting with the current President. Does the Weiter Administration have what it takes? a poll Wurde hinzugefügt: Do Du think the spot needs a new icon? a comment was made to the pop quiz question: What was the Titel of the only episode of The West Wing that had nothing to do with the plotline of the show? a question Wurde hinzugefügt: Did John Spencer have a traumatic childhood? I know his parents did not have much money, but there seems more to it than that. a question Wurde hinzugefügt: Who was John Spencer married to when he was younger and who did he live with, besides Patti Mariano? Someone must have the answer. True oder False: Jed and Matt had a plan in which they were playing good cop, bad cop in which Matt was the bad cop while Jed was the good cop.